Mr Pots and Mr Post! welcome! 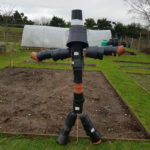 This ingenious scarecrow has been made from all those unused pots we accumulate and mean to reuse but never did till now! So Well done team he looks magnificent! 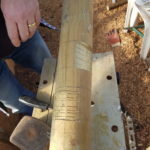 Staff member Dale has also been working with our students to create a signpost that shows the direction our other sites are in. MuddyWellies Ashford one way, WillowWay Sittingbourne another and our café Ashford (Food With Friends) pointing in another direction. It has been a lovely project for our Craftworks students as they had to figure out themselves what way the signs needed to point and how to use different tools. It has been especially nice as on some days this week the sun has been out to say hello. keep looking back here for more of what our students have achieved.